A new fashion label was founded by a mother and her three daughters and mindful of the year in the US where abortion was still banned. "COL 1972" (Culture of Life 1972). This is the name of the new pro-life fashion label, which was presented on the occasion of the annual pro-life march and was founded on 1 January 2019. Only in 1973 was abortion legalized by the controversial decision of the Supreme Court. Carla D'Addesi, co-founder of the label, told the newspaper The Christian Post: "There's a fashion war, marginalizing families like mine, who feel conservative, and there's no room for us the fashion world, because we are not prepared to support fashion brands that are anti-American with our purchasing power." 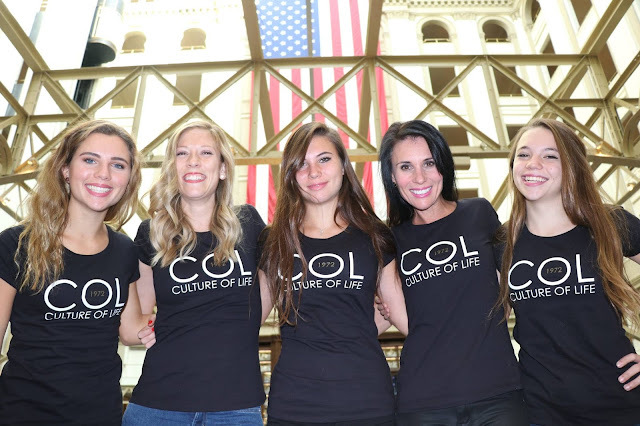 We want the WORLD to understand that there is a new Status Quo and that you never have to sacrifice your Core Values in order to fit in… We want your voice to be heard… then COL1972 Culture of Life The Brand Happened! As the Founders of The COL1972 Brand that celebrates LIFE we are introducing a concept that is Healthy for the MIND, BODY and SOUL not to mention you are going to look FABULOUS while wearing our Well Designed, Well Thought Out Fashion Pieces.